Beauty Blend had a bit of a lengthy hiatus. But we’re back! And we’re here to keep you updated on the latest beauty, fashion and lifestyle trends. Let’s start by updating you on some of Blend PR’s latest. Blend PR has taken on a new and exciting client: celebrity jewellery designer Dean Davidson. Since launching his eponymous jewellery line in 2007, Dean has become an internationally celebrated designer with his creations consistently gracing the pages of renowned publications like Vogue, Harper’s Bazaar, Marie Claire and InStyle. Based in Toronto, in addition to now being available on Gilt.com, his unique designs can be found in over 250 select boutiques across the globe and seen on such high-profile clients such as Sophie Grégoire Trudeau, Jessica Alba, Rihanna, Katy Perry, Olivia Wilde and Demi Lovato. Dean was also recently nominated for Accessory Designer of the Year at the 2016 CAFA Awards. Exciting! What’s really cool about Dean’s pieces is that every single one holds its own story, designed to make the wearer feel confident and unique. Whether it’s masculine shapes paired with feminine textures, or architectural lines and contrasting fluid gemstones, the common thread found throughout Dean’s creations embody an unexpected combination of minimalism with maximum impact. All of Dean’s pieces are cast out of high quality brass and then plated in 22KT gold, rhodium or 22KT rose gold. His unique and signature brushed finish gives a timeless and luxurious quality to his designs. Every season he chooses a different selection of gemstones to further enhance the collection. The gemstones are all custom cut and polished in India and complement his forward-thinking aesthetic. Davidson’s clean and tasteful designs are chic and versatile, geometric and fluid, and most importantly, current and enduring. 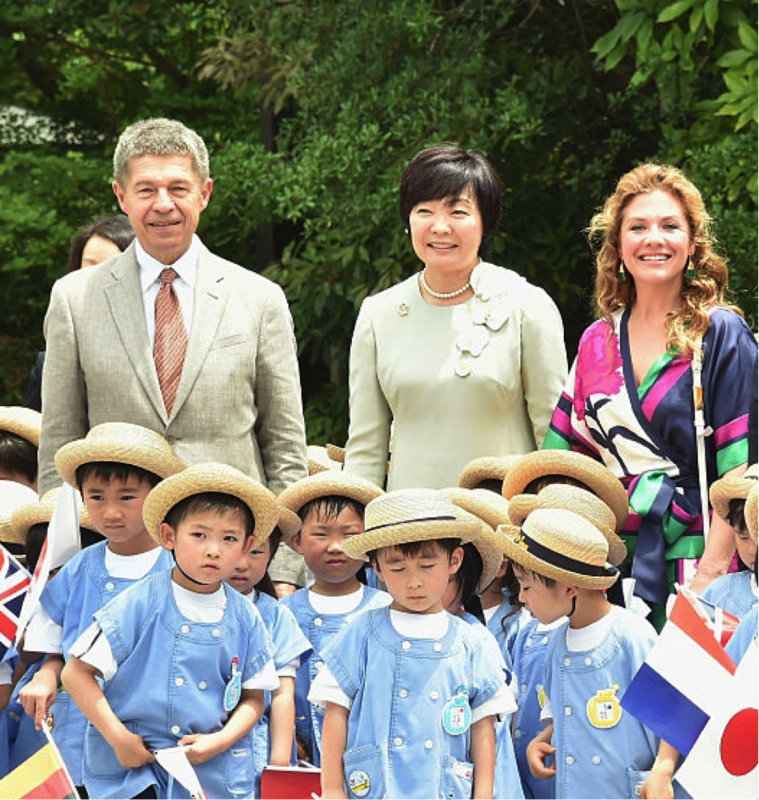 Most recently Dean created a custom pair of earrings for Sophie Grégoire Trudeau inspired by a traditional Japanese hand-fan which she wore on her trip to Japan back in May 2016.